Countries such as Denmark and France are watching closely, hoping to implement similar measures. A German court has ruled that cities are now allowed to ban diesel vehicles. While the measure is not compulsory, the court encouraged two cities in particular, Duesseldorf and Stuttgart, to take this option seriously as part of their anti pollution plans. In Stuttgart, known as the “German capital of air pollution”, the concentration of harmful nanoparticles regularly exceeds the legal limits, much more often than in any other city in the country. 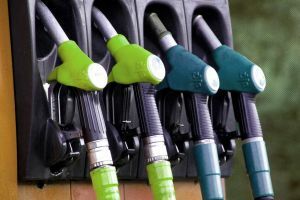 However, it remains unclear whether the ban will benefit a country where diesel-powered vehicles are viewed as a better alternative to gas-powered ones. One problem is that cities are not required to compensate drivers who choose to give up their diesel-powered cars. Reuters also notes that the ban could ultimately lead to the end of the combustion engine, a creation Germans take great pride in due to the engine being a local invention. Unsurprisingly, German automakers such as Daimler, Volkswagen, and BMW are concerned about the ruling, arguing that adjustments made to diesel cars could be expensive for customers and industries. However, Germany’s Environment Minister Barbara Hendricks said that bans could be avoided if carmakers agreed to contribute towards upgrading old diesel systems. “The problem was caused by carmakers and we should not release them from their responsibility,” said Hendricks, as reported by Reuters. German cities aren’t the only ones facing a vehicle ban. Rome’s mayor, Virginia Raggi, announced that the Italian city is also committing to banning diesel vehicles by 2024. “If we want to intervene seriously, we have to have the courage to adopt strong measures,” Raggi said via her Facebook page. CBC News writes that European cities Copenhagen and Paris will be keeping a close eye on how Germany’s ban progresses while ironing out their own plans; Paris announced in October it aims to ban all non-electric cars by 2030. While banning diesel engines will be good for air quality in Germany’s most polluted cities, the measure is unlikely to have a positive impact on the country’s broader environmental targets. With an economy still heavily reliant on coal, Germany is poised to miss the goal of reducing carbon emissions by 40 percent from 1990 levels by 2020. This is also due to the country’s strong growth and the decision to phase out nuclear power, all factors that interventions such as a moratorium on diesel cars are not going to offset. In the face of such a mighty challenge, banning polluting vehicles, introducing hydrogen-powered trains and offering free public transportation could be seen as little more than good PR. But taken together, they show an enduring commitment to reducing the country’s environmental footprint. Maybe coal mines will be next.